Employment interviews are the cause of much angst among the physician community at large. 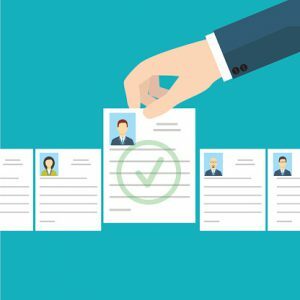 Upon scheduling an interview, you may start envisioning yourself sitting across from much more experienced and potentially jaded physicians, business professionals looking to sniff out a bad investment, or HR assassins trained to pick apart your flaws to ensure they don’t let a weak link through the doors of the hospital. Though this fear is a bit far-fetched, it’s surprisingly common. The truth is, you can’t control how the interviewers handle the interview, and thus shouldn’t worry about it. You can only control how you handle an interview, and the key to handling it well is to prepare thoroughly and avoid these mistakes that are often a part of the physician interview process. Many physicians, especially those just finishing training, have in their minds an ideal scenario for practicing medicine. They have preconditions and preconceptions about where and how they want to work. Having such ideas may lead you to interview with only one employer, but this is a huge mistake. Most physicians are not master poker players, and eventually an employer will realize you are only interviewing with them. When this happens, you can forget negotiating for better income, vacation, call schedule, bonuses or really anything else. If they’re your only interview, they hold all the cards: You have nothing to compare them to and lots of motivation to take their offer. At any stage of your career, having multiple interviews ensures you will be able to evaluate factors you may never have thought of. You can use pros from each opportunity to make the others better and negotiate from a position of strength and opportunity rather than weakness and dependence. Research the employer’s location, reputation, background, achievements, size, patient population, recent headlines and any other important information you can get your hands on. Create a list of employment priorities for yourself, and your family if applicable, in order of importance. Develop a list of questions specifically designed to learn about your priorities so that if time runs short or you lose your nerve, you will at least leave the interview with an idea of how your most important concerns would be addressed in that situation. Finally, review what you know about the position they are interviewing for. Prepare a list of the top three to five things that make you a good fit for that job and make sure that the questions they ask are answered in a manner that conveys those main points as much as possible. You can tell I have three kids 10 and under when I reference a Pixar movie. If you haven’t seen it, “Finding Dory” is a cute animated movie that is sort of a sequel to “Finding Nemo” and follows the character of Dory, an adorable blue fish that suffers from extreme short-term memory loss. This obviously leads to a lot of bad decisions, mistaken identities, frustration and comedy. It’s not so comedic, however, when physicians display the same thing while interviewing for employment opportunities. I’ve heard it said that we forget 50 percent of what we hear within one hour of hearing it and close to 70 percent within 24 hours. This means that just one day after an interview, you may only retain 30 percent of what was said. No one should make a major life decision based on 30 percent of the information. The solution is to take notes during the interview and to use the same prepared questions for each interview. This will both help you retain what has been said and give you a way to compare different opportunities (specifically, how they measure up with regard to your top priorities) in an apples-to-apples manner. Take some advice from an earlier generation and send a thank-you note, card, letter or email after your interview. Simply showing appreciation for the interviewers’ time speaks volumes about your communication and relational skills. It can also improve the prospective employer’s perception of both your bedside manner and your potential as a colleague. I’ve seen physicians get offered positions in highly competitive situations as a result of their interview follow-up—don’t forget to do this! The physicians who will do well are those who will listen to the advice of people who have worked with thousands of doctors before them. It’s tempting to believe that interviews are either easy—just an opportunity to answer questions about yourself—or impossibly hard. In actuality, interviews should not be taken lightly, but they also shouldn’t be cause for nightmares. By preparing thoroughly for your interview, you can interview the prospective employer simultaneously. Based on their answers to your questions, you can decide whether you want to work for them. Their answers will also help you compare multiple offers and ultimately negotiate the best employment opportunity possible. Matthew J. Wiggins is partner and senior consultant for Pattern.